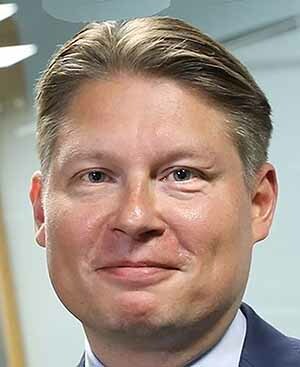 Finnair has appointed Topi Manner as the airline’s new Chief Executive from 2019. Pekka Vähähyyppä, Finnair Chief Financial Officer, will act as an interim CEO until the end of December 2018. Pekka Vauramo has left Finnair to take on the role of CEO of Metso Group. Manner, aged 44, held management positions at Nordea, the largest financial group in the Nordic countries. Since 2016 he has worked as a member of Nordea’s Group Executive Management and as Head of Personal Banking. In the past years, some former and current government officials have looked into scrapping a clause that obliges the state to own more than 50pc of Finnair, saying the change would pave the way for Finnair to take part in industry consolidation. There was a very public row between Finnair and the government (55.8pc shareholder) in January over the pension arrangements for Mr Vauramo exceeding public service guidelines. Finnair 2018 Q1 results showed strong growth, revenue up 14.6pc and a comparable (underlying) operating profit of €3.9m compared to a loss of €9m last year, the 14thsuccessive quarterly improvement and the first profitable Q1 in 10 years. A negative was a reduction of 9pc on transatlantic revenue per ASK, a relatively insignificant part of Finnair’s business. Finnair have been expanding in the Irish market with operations led by Andrew Fish out of London. They are promoting their Japan network in the build up to the 2019 world cup. Finnair will continue growing in Asia in summer 2019 with the capacity to Japan increasing by 15pc and to China by 12pc, including double-daily flights to Hong Kong and additional flights to Japan, as it continues its strong growth across key Asian markets. Finnair will add flights on several of its Japanese routes, increasing its capacity to Japan by 15 per cent for summer 2019. Three weekly flights will be added on the Helsinki-Osaka route, meaning Finnair will now fly a total of ten weekly frequencies between Helsinki and Osaka during next year’s summer season, starting on March 31, 2019. The extra flights will offer additional choice for customers with two daily frequencies on selected days. The added flights depart on Wednesdays, Fridays and Sundays from Helsinki just after midnight at 00:45. Finnair will operate double-daily flights between Tokyo and Helsinki for the summer season in 2019. It will also add a third daily flight during Japan’s Golden Week holiday. Finnair’s extra flights will see capacity to Tokyo increased by 9pc compared to the 2018 summer season.